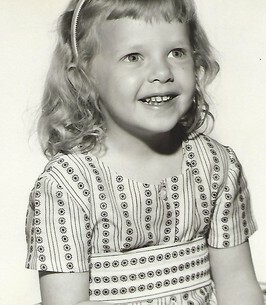 Marleen Ann Bradford was born November 27, 1956, to Reed H. and Shirley C. Aamodt Bradford in Provo, Utah. She died Monday, October 1, 2018, at Utah Valley Hospital from complications following serious health issues. Marleen attended Wasatch Elementary and Farrer Junior High in Provo, graduating from Provo High School and later earning a bachelor’s degree in Elementary Education from Brigham Young University. She enjoyed teaching in the classroom but especially thrived in the outdoors where she combined her love of horses and students, guiding both of them to new opportunities and abilities. She loved animals and treated them with respect and compassion. Marleen made friends in many different places and was a champion of the underdog and the underprivileged. Her closest friends and family knew she had some sharp edges, but her greatest gift was her soft heart and the ability to lift others when they were having a difficult time. We will miss her sense of humor and the thoughtful way she reached out to those around her. She was also the recipient of kindness and generosity from many people who helped her at different times in her life, and to them we express our appreciation. Marleen had a deep love for the Savior and an abiding faith in His Atonement. We are grateful to those in the Neuro Shock Trauma ICU at Utah Valley Hospital who tenderly cared for her these past two weeks. She was preceded in death by her parents and by her nephew, Parker F. Bradford. She is survived by her brothers and sisters: Mary (Jeff) Rasmussen, Sharon (Michael) Leigh, Dan (Eileen), Ray (Laurie), Randall (Melissa), Ranae (Troy Rees), and Ryan, and by many nieces and nephews. She loved her cat, Tuffy, and her horse, Little Miss. Funeral services will be held on Friday, October 5, 2018, at 2:00 p.m. in the LDS meetinghouse located at 245 South 600 East in Springville, Utah. Interment will be in the Spanish Fork City Cemetery, 420 South 400 East, Spanish Fork, Utah. To express condolences please visit LegacyFunerals.com. To send flowers to the family of Marleen Ann Bradford, please visit our Heartfelt Sympathies Store. Dear Bradford Children, I have so many happy memories of your family. Your Father and his story of the Eight Cow Woman was a legacy. Your sweet Mother gave me kind advice and encouragement during our many visits together. I knew Mary and Sharon mostly from stories your mother told me, as we discussed the challenges and joys of motherhood. I had Ralph (Dan) in my 6th grade class at Wasatch. It was my first year of teaching and he had to endure my learning curve. He was a quiet, “A” student. I will always remember the joy your family experienced when he brought baby Ranae home. Ray was in my 5th grade class. He was a lot more rambunctious than Ralph, and at the time I had no idea that today he would be my favorite mechanic. Marlene was in Mr. Baggs’ class but came to me while my students went to Mr. Baggs for shop. I remember her as being a good student with a soft heart and the ability to look out for the underdog and take shy children who were sometimes left out of the recess gang under her wing. Her passing makes me very sad. She blessed all her knew her and we will remember her with fondness. I did not have personal associations with Randy, Ranae and Ryan, except from a distance as they grew up in the Oak Hills 1st ward with my children. I hope life is going well for all of you. Always hold your head up high and be proud to say, “I’m a Bradford!” With sympathy and much love, Kathryn Spencer. Thanks for your kindness and listening ear as I went through some hard trials Marleen. Our talks helped me to stay positive as I waited for the miracle I needed. Marleen I am so grateful for the times we shared as I was growing up. You always made me feel so loved and took time for me. As I became an adult you still took that time daily to chat and interact with me and I will cherish those memories. I miss you so much already. Love you always.